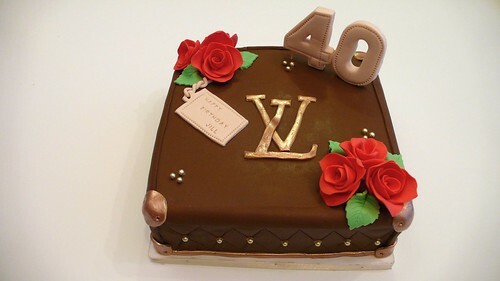 LV Birthday Cake, a photo by CAKE Amsterdam - Cakes by ZOBOT on Flickr. LV logo mini trunk cake for 10-12 people. FLAVOR : Chocolate Cake with Chocolate BUttercream and Fresh Raspberries!